DENVER, CO--(Marketwire - January 21, 2011) - First Western Trust Bank, striving to be the best private bank for the Western wealth management client, announced today that three established wealth management professionals -- David Cerullo, Peter Siple and LisAnne Smith -- have joined the firm. These professionals support the continuing success of First Western Trust Bank, recognized by Denver Business Journal as a leader in the Colorado banking community. "The goal of First Western is to provide wealth management solutions that cater to each of our clients' unique needs," said Joanne Field, Colorado Bank President. "We are excited that we continue to attract talented professionals like this newest group of associates. They share the same goals as ours and bring essential knowledge and expertise to our business." 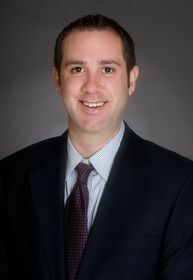 Mr. Cerullo has been named Wealth Planning Advisor for the firm. In this role, he works with clients to understand and create solutions for their needs and goals in the areas of retirement, education, insurance, cash flow, tax, investments, and estate planning. He came to First Western from EKS&H where he was a Senior Tax Manager. Mr. Cerullo is a Certified Public Accountant and an active member of the Colorado Society of Certified Public Accountants, the Denver Estate Planning Council, and the AICPA. Mr. Siple has been appointed Vice President of Retirement Services, where he will be responsible for maintaining and growing First Western's Retirement Consulting Services. He brings 23 years of experience in the design, investment monitoring, administration, and regulatory compliance of qualified deferred compensation plans to the Bank. 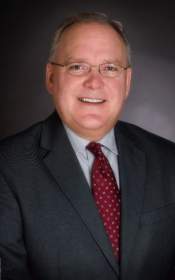 Prior to joining First Western, Mr. Siple was a Vice President at Wells Fargo Institutional Retirement and Trust. He is a member of the Western Pension and Benefits Conference. 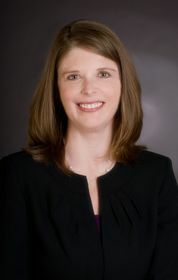 Ms. Smith is a Client Relationship Manager with First Western Trust Bank, DTC | Cherry Hills. She is responsible for fostering client relationships and administration of the investment accounts. Prior to joining First Western Trust Bank, Ms. Smith was a Client Service Associate with UBS Financial Services. Ms. Smith has experience in a variety of areas including trading, compliance and financial planning. "The demands of long-term wealth management have never been greater and the issues have never seemed more complex," said Melissa Montgomery-Fitzsimmons, First Western's Director of Wealth Planning. "Regardless, the expertise of our associates, including these new team members, consistently instills confidence in our clients." First Western Trust Bank strives to be the best private bank for the Western wealth management client, providing comprehensive tailored solutions in the areas of wealth planning, investment management, private banking and trust services. With over $4 billion in assets under management, First Western has been ranked by Inc. magazine as one of the fastest growing bank/bank holding institutions in the country for the third year in a row. Built specifically for the new economies of the West, the firm and its affiliates have offices in Arizona, California, and Colorado. For more information, please visit www.fwtb.com or call 303-531-8100.